Former President Olusegun Obasanjo is currently in a closed door meeting with PDP presidential candidate and his former Vice President, Atiku Abubakar. The meeting is holding at the home of the former president in Abeokuta, Ogun state. 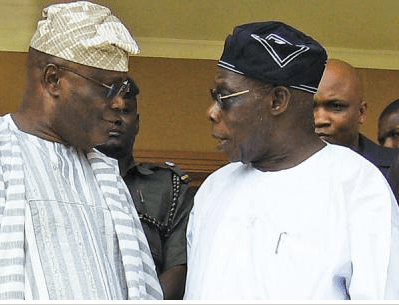 Atiku arrived Obasanjo’s home at about 1pm along with PDP National Chairman, Uche Secondus, and the director general of the Atiku campaign organisation, Gbenga Daniel. The former president is allegedly planning to endorse Atiku’s presidential bid.